Why list your home or home site with Justin Winter Sotheby’s International Realty? We hold the sales record for the HIGHEST PRICED home sold on Lake Keowee and our MLS (listing and selling). We have the HIGHEST AVERAGE TRANSACTION PRICE in our MLS once again in 2015 (average per transaction — $1,148,000). This is more than double our nearest competitor. 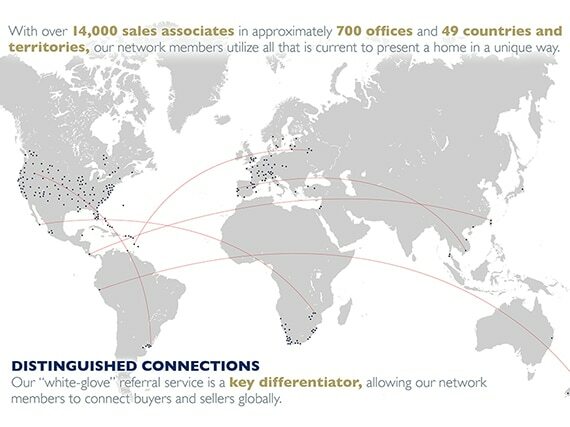 Sotheby’s International Realty has over 700 offices and 16,000 agents in 53 countries worldwide. That’s a very powerful referral network. We are the voice of luxury real estate around Lake Keowee. BETTER TOOLS CREATE BETTER RESULTS. GOLF AND WATERFRONT LIFESTYLE WEBSITES – Waterfront property is the most searched for of any property type in the luxury housing market, and lifestyle marketing–the ability to search for homes based on a desired set of amenities–is one of the ways Justin Winter Sotheby’s International Realty is able to highlight properties for sale and demonstrate our unsurpassed expertise of this segment of the market. Lifestyle properties are viewable on GOLFPROPERTYSIR.COM and WATERFRONTPROPERTYSIR.COM. SOTHEBYSREALTY.COM -Sotheby’s International Realty’s website attracts more consumers to search, view, and inquire than any other luxury real estate website. In a year, the website generates 10 million visits and 70 million page views, with 21 million property detail pages viewed and 12 focused minutes per visit. Justin Winter Sotheby’s International Realty’s listings are immediately viewable on SOTHEBYSREALTY.COM. WORLDWIDE PROPERTY MARKETING EXPOSURE – As an affiliate, Justin Winter Sotheby’s International Realty is able to partner with and distribute listings to the most significant media companies and real estate focused websites in the world, including The New York Times, The Wall Street Journal, and James Edition, as well as Google, Trulia, Zillow, Homes.com, Home Finder, and LuxuryRealEstate.com. SEARCH ENGINE OPTIMIZATION – Sotheby’s International Realty’s search engine optimization efforts have created 5.25MM organic and 333MM paid website search returns. To maximize the potential for your home to be found online–where the majority of home searches now begin–it is essential for your real estate firm to have a strong search engine marketing strategy. As an affiliate, Justin Winter Sotheby’ International Realty is connected to the most cutting-edge optimization strategies and web-based selling tools. Are you getting ready to sell your home? Preparing your home for sale takes some work, but taking the right steps can help your home sell quickly and provide more profit. Before you list your home, you should consider these tips from Justin Winter & Associates. When a home is for sale, the right staging can attract more potential buyers. Most listing agents agree that staging means making a home look lived in, but not too cluttered. If you have a lot of furniture, think about removing some of the larger pieces to help your rooms look more spacious. You can place your belongings in a rented storage unit while your home is open for showings. Renting a storage unit is also a good way to clear out your home-based storage areas so that they will stay clean and open for anyone viewing your home. Storage, from garages to closets to pantries, can be a major selling point, so having these spaces cleared out could lead to more interest in your home. Another way to maximize your home’s price is to have it as clean as possible. If you are cleaning your own home, it can be all too easy to miss spots like baseboards and crevices between counters and appliances. You need a deep, thorough cleaning to get your home in top shape, so consider saving yourself some time and effort by having your home professionally cleaned. According to HomeAdvisor, you can expect to pay anywhere between $116 to $235 to have your home cleaned, which is almost as much as you would spend on your own cleaning supplies. Professional cleaning services are a good investment when you are trying to make the most of your home sale. Paint can also improve the price you get for your home. One recent study shows that certain paint colors can increase the value of a home and attract more offers. No matter what colors you choose, it’s a good idea to apply some fresh coats throughout your home. If you have any holes that need to be patched, make sure this is taken care of before you begin painting. Use a low-odor paint to prevent odors from taking over your home. Also have the outside of your home, as well as shutters and doors, painted if they are looking dull, scratched or worn. Curb appeal is what attracts people to your home. It’s the first thing home buyers see when looking at listings, so you should pay special attention to the front of your home and yard. Start by refreshing the gardens, yards and landscaping. Remove any overgrowth from vines or trees that block your home’s architectural features. Landscaping that hasn’t been updated in the last 7 to 10 years and has begun closing in on your home may need to be removed completely. You can also add some color by planting new flowers in beds or containers. If you do have any flower beds in front of your home, make sure the mulch is clean, fresh and applied in an even layer. If you are thinking of completing just a few home improvement projects, you should know which updates matter the most. People tend to pay a lot of attention to two rooms when they are looking at potential homes: the master bath and kitchen. A modern, updated kitchen or refinished bathroom can entice people to make a better offer on your home. Consider having at least one of these spaces remodeled if it has been a while since they were built. For simple changes, try switching out hardware on cabinets or updating the lighting to give these rooms a fresh new feel. When you are selling your home, you need to take steps to make the most of your listing. By investing in the right projects, you can ensure you get the best offers on your home, and you may even be able to sell it faster. After the death of a loved one, it’s possible that moving could bring a welcome change of scenery. While it’s important that you don’t rush into making such a big decision during this emotionally charged time, there may be practical reasons motivating you to make a move. Financial, psychological, and or physical strains for example could mean that you are just not capable of keeping up or staying in the home anymore. If this is the case, here are a few things to keep in mind while you’re packing up and relocating. Sorting through a home full of memories and objects that held significance to you and your loved one is understandably going to be a difficult process. To make it easier on yourself, let those around you know what they can do to help. What’s Your Grief recommends that, “If you can’t bring yourself to throw away those half-empty shampoo bottles, to-do lists, and medications, find someone who can.” However, if you prefer to go through things alone that’s okay too. You’ll first need to decide what will be a comfort to you and what is too painful or unnecessary to keep. Items you don’t wish to keep should be divided up between family members and friends, sold, given to charity, or thrown away. If you have a mass quantity of stuff to get rid of, call a local charitable organization or get a large dumpster as they will pick it up for you when it’s full so you don’t have to make multiple trips. You should also pace yourself and go room by room. Having a plan of action will help make this life altering change and transitional period go smoother than if you didn’t have one. If you know you don’t have the room for certain items, consider photographing them so you don’t feel as guilty about parting with them. You can also remake clothes and other fabrics into a blanket or have a keepsake box and a scrapbook full of special items. In situations such as this, there are many benefits to hiring movers and packers. By employing the help of professionals your belongings will be safe and insured in the case of any accidents. Additionally, the reality is that it just might be too painful for you to do the brunt of the leg work. Chances are you’ve already gone through enough; lifting and unloading is only going to further exhaust yourself. So don’t be afraid to ask for help as it could be well worth the cost by saving you heartache and backache. Ask friends and family members for a referral so you can work with someone you have experience with and can trust during the process of selling and buying a new home. Finding the right real estate agent will somewhat minimize the hassle of moving. However, it’s important that you communicate with them about your circumstances so they can take care of all the proper details and handle them with care. For instance, they can provide you with vendors to help you do some of the prep work to get your home ready to sell. When it comes to finding a new home, if you are making a significant move, you’ll want to get an agent local to that area. It can be overwhelming to be dealing with loss while also trying to make a fresh start. However, if you work through your feelings in a healthy way it can be a time of healing. Remember to find comfort in the good times, and know that everyone grieves in their own way. Chances are this will even bring you closer to other loved ones.